The Parallel Landscapes photo series documents a number of trips around the UK in search the the past, present and future of military training and defence. The photographs provides evidence for a written PhD undertaken at the Royal College of Art entitled Parallel Landscapes: A spatial and critical study of militarised sites in the United Kingdom. 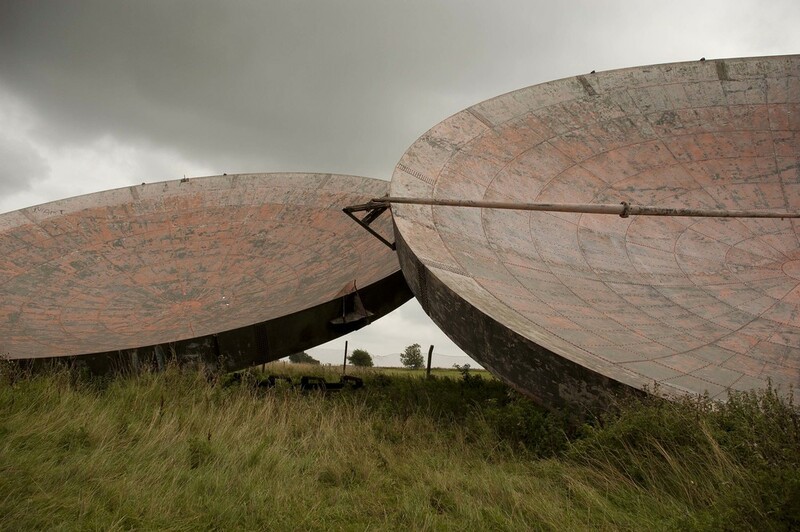 Below are the remains of the ACE HIGH tropospheric scatter dishes at the disused RAF Stenigot, deep in the Lincolnshire Wolds. Originally, the dishes were mounted on tall towers and provided a link in a Cold War, over-the-horizon communication chain that stretched across central and northern Europe.